Hi, I’m Kaameel and I was the volunteer for Project World School’s South Africa retreat held from the 13-26 February 2017. This retreat took us to the magical Eastern Cape, buzzing Johannesburg and the world famous Kruger National Park in Mpumalanga. We started off our journey with a meet-and-greet at the O.R Tambo International Airport in Johannesburg. Once we were all together and settled we got ready to board our flight that was headed to the Eastern Cape. We were wowed the minute we arrived there. It was four, magical days before we moved on to Port St Johns (PSJ). 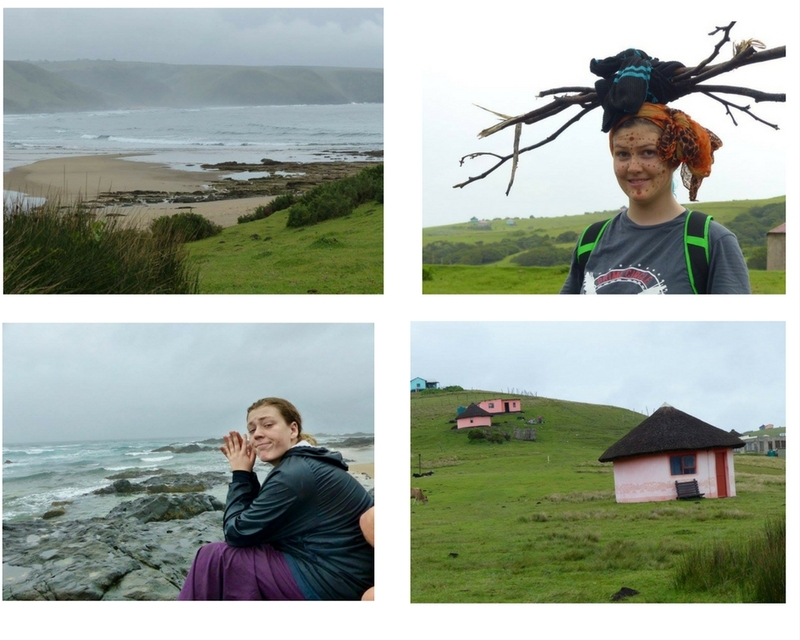 PSJ is a small, beach town also located in the Eastern Cape, where we met our partner and guide for the duration of our stay – Helen. Helen is a volunteer at an animal shelter just outside of PSJ, but she decided to take a little break to be our guide and host (which we are more than grateful for!). We had many memorable days in PSJ. We went on a hike to the Waterfall Bluff! It was special for a number of reasons. 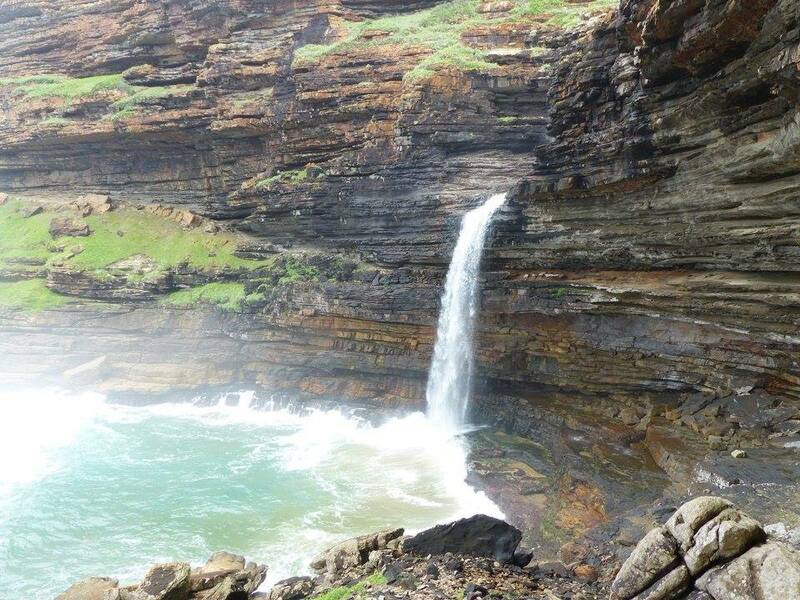 It’s one of the few waterfalls in the world where the water falls straight into the ocean. We also spent the afternoon swimming in a lake-like area of the river, a perfect 5/7 in my books! 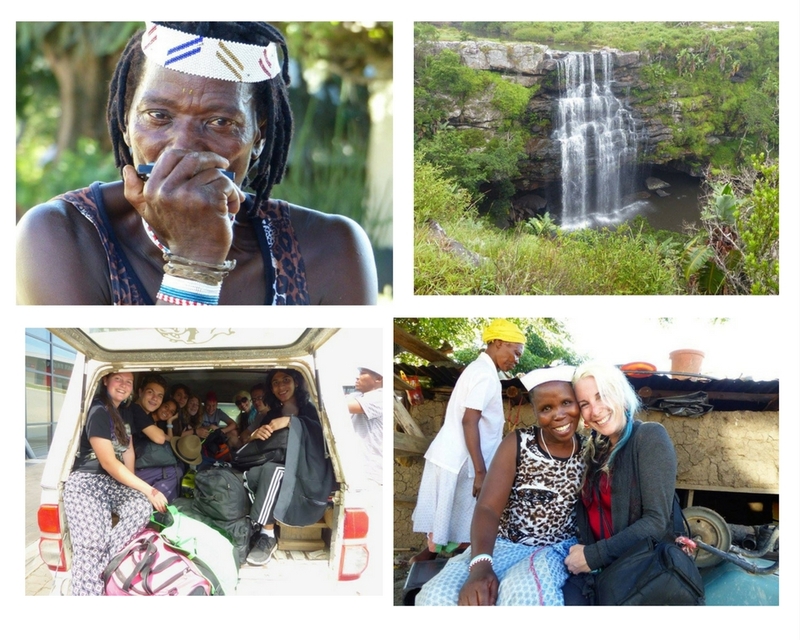 On another day, Helen arranged for us to meet with a local Sangoma (Traditional Healer), with whom we went foraging. It was an interesting day, to say the least. But mostly it was unexpectedly challenging! It was one of the hottest days of the year at a whopping 97 degrees fahrenheit! We ended up walking right up a mountain (and back down of course). All in all, it wasn’t an easy day, by any means. But that’s what made it memorable, because we all had to dig deep! I feel that it really built some character in all of us. It was also really great to witness and experience the support everyone had for one another. The image that sticks in my head the most is of when two of the members stepped in to help one of the girls was really struggling at the end-bit. They lent their shoulders and walked her to the end! It was beautiful indeed. All in all, our time in the Eastern Cape is something that I wouldn’t trade for anything. After a week in the Eastern Cape, we left the the rich culture and beautiful scenery to make our way to the Big City: Johannesburg, it is the largest city in South Africa and one of the largest in africa. We got a different kind of cultural perspective in Joburg. We kicked off our stay in a rainy Johannesburg to visit the Cradle of Humankind, followed by a visit to the buzzing suburb of Soweto with a great tour guide, with whom we visited the Hector Pieterson Memorial and The Mandela house. It was a really good, enlightening experience for us. The Kruger Park is home to one of the largest wildlife sanctuaries in the world and home to the Big 5 (Rhino, Leopard, Elephant, Buffalo and Lion). It’s a place I’ve personally visited more times than I can count and so, believe me when I tell you, Project World School was in for a treat! We had 4 different sightings of Lion and saw 4 out of the Big 5 in just two days! Lady Luck was definitely on our side :). 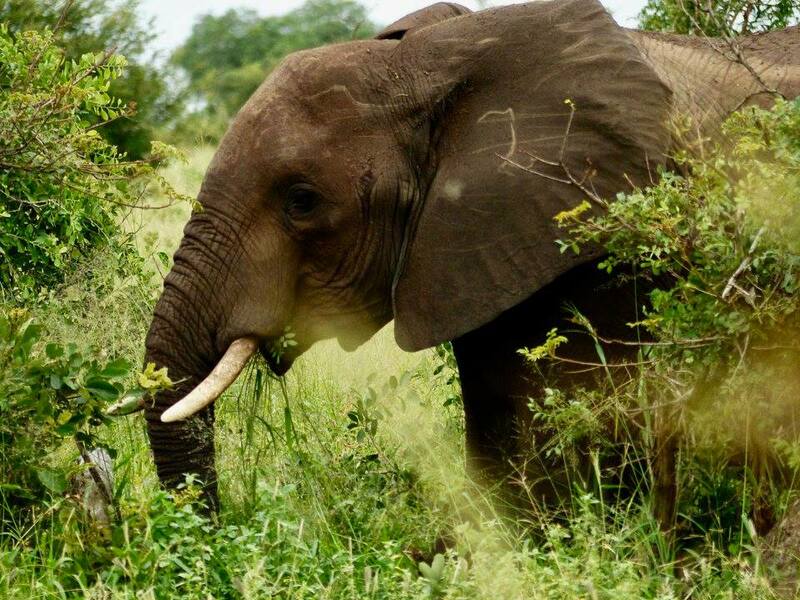 But the Kruger Park is more than just wildlife. The sheer scale of the reserve is massive! It extends out to 3 different countries and has so many different aspects. Entering through one gate, could be a completely different experience than entering through another. It’s a must-see for anybody coming to SA. 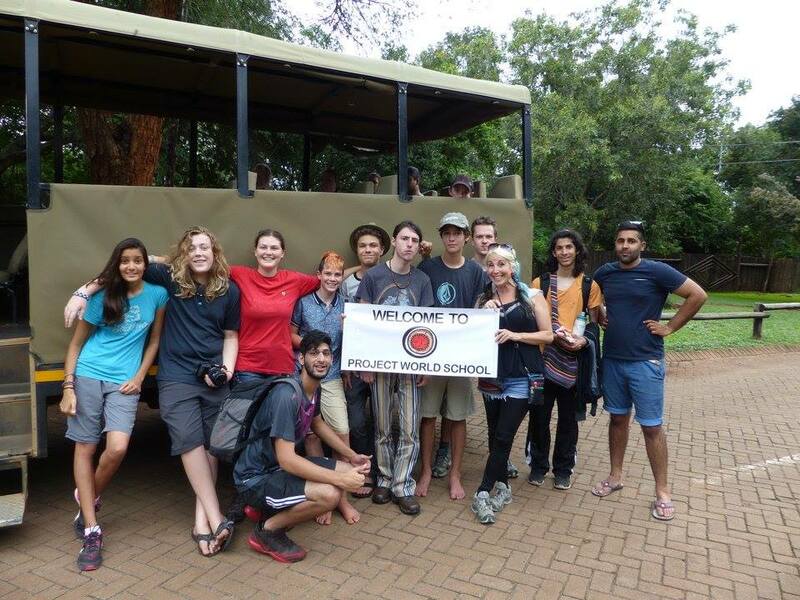 It was Project World School’s first time in Africa! South Africa to be more specific. There was a mixed group of participants. At least half the group consisted of locals, unlike my experience in Thailand where the retreat consisted of all Americans and I was the solo South African kid. 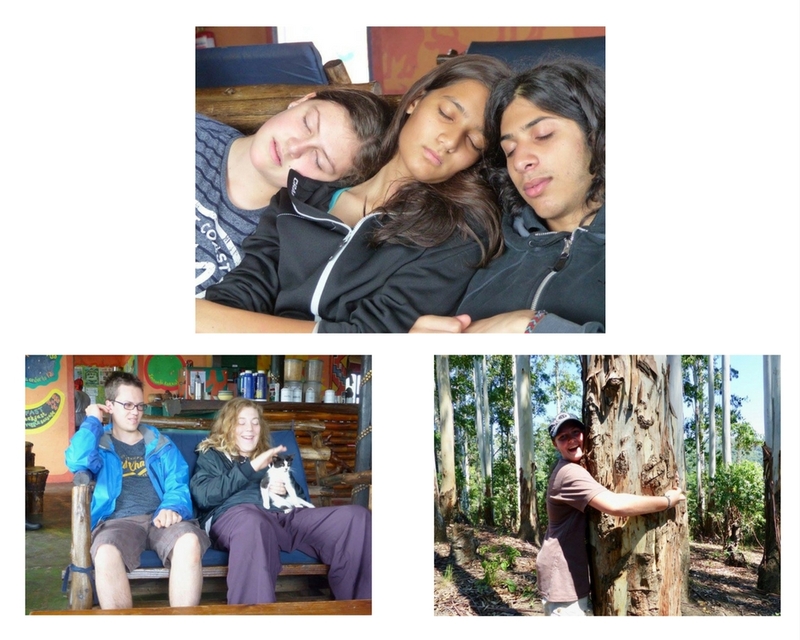 The group here in SA was very diverse, with ages ranging from 13 to 19 years of age. 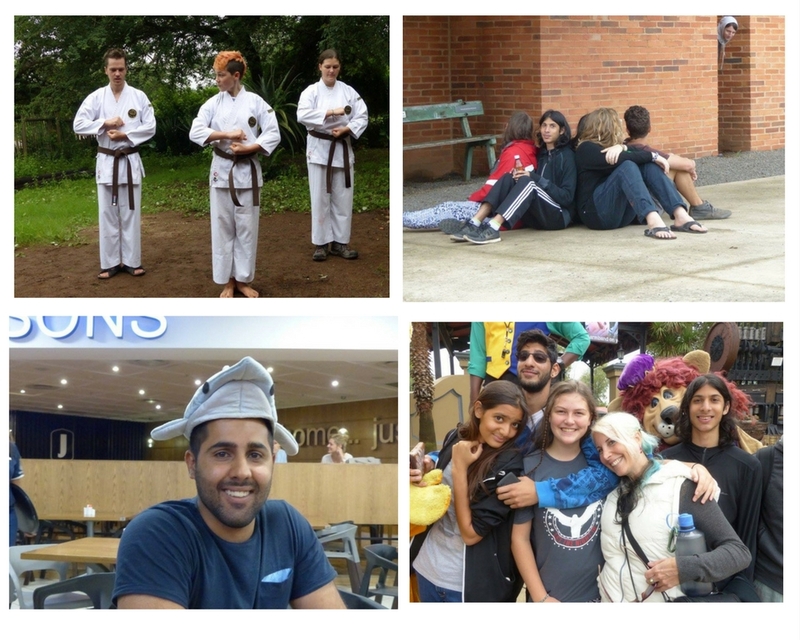 There were participants with different outlooks, religions, cultural backgrounds and we all very much had our own unique set of beliefs, which I thought was great. In the end we could all go home feeling that the lenses in which we use to perceive the world had grown a little larger. In my closing I’d really like thank everyone who helped make this retreat happen and all those who made the experience special, with special thanks to my fellow participants for being my family during the retreat!